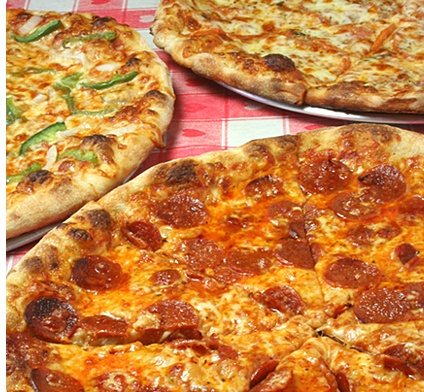 Louie’s Pizza has been serving delicious, authentic Italian-style pizza to customers in the greater Woburn area. We are family owned and operated, and we still use our original recipes serving our customers in the same original location that we did more than 60 years ago. A lot of restaurants claim to use fresh ingredients… but we really do! We make our dough fresh daily and we make our pizzas from scratch. Please give us a try and you will understand why we have been voted “Best Pizza in the Greater Woburn Area” for six years in a row!